On this day in 1973, approximately 200 Traditional Oglala Lakota led by Ojibwa Warrior Dennis Banks and the American Indian Movement (AIM) seized and occupied Wounded Knee — a village on the Pine Ridge Indian Reservation where in 1890 more than 300 Lakota women, children and men were massacred by the US Seventh Cavalry. The 71 day occupation was a reclamation of Wounded Knee in the name of the Oglala Lakota Nation who’s demands included: 1) The removal of the tribal chairman, Richard Wilson, accused of abuse and corruption; 2) An investigation into the treaties between Native Nations and the United States of America, all of which had been broken by the United States; and 3) The return of “Paha Sapa” the Lakota Nation’s Sacred Black Hills. #StandWithStandingRock and #NativeLivesMatter would not have been possible without the courageous sacrifices and historic stand taken by our elders, leaders, and youth at Wounded Knee in 1973. 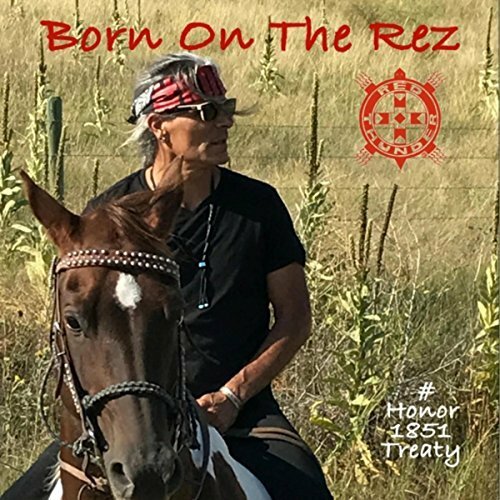 #Honor1851Treaty challenges the United States Congress to honor at least one of the more than 500 treaties made with Native Nations on the Trail of Broken Treaties. Join us in this musical and artistic collaboration to stand united with one voice to the forces that threaten Indigenous sisters and brothers, land and life.